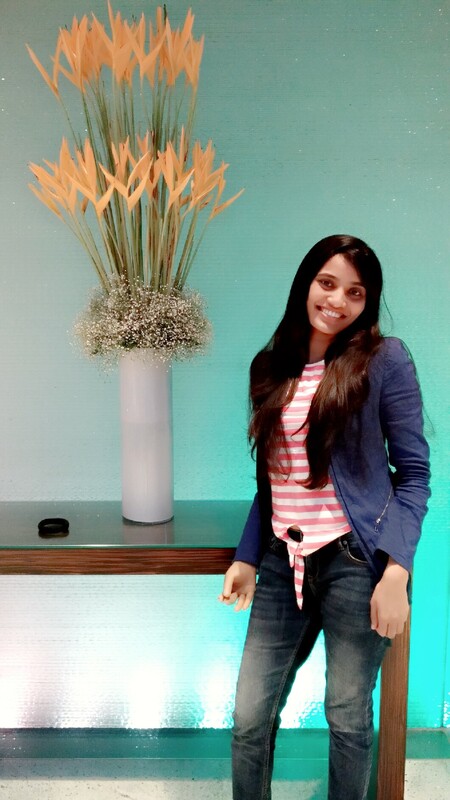 Jyothi Reddy was excited to begin her college in Bangalore for Engineering. At the same time, she was extremely intimidated with the English speaking crowd as she had studied in vernacular languages like Kannada and Bagepalli all her life. That’s when Jyoti was introduced to Katalyst. Jyoti was regular at the Katalyst trainings and soon realised, that she was stronger both emotionally and intellectually, to face her challenges. This support became an asset to her career. In the final year of Engineering she was placed at Interra Systems. She continued to pursue her M. Tech. from Dr.Ambedkar Institute of technology where she was awarded the second rank in the course. She is currently working with InfineraPvt. Ltd. and writes, “I can proudly say that even I can lead the life I smelt in Goa”. Katalyst hopes to continue inspiring many other women like Jyoti! Monali Ashok Phadatare knew from the very start that she wanted to be someone significant in her life. She was determined to help her father who was a farmer back in her hometown, Sakharwadi, Satara district. 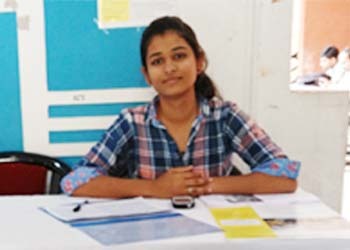 She topped her Computer Science diploma class with a whopping 90% and secured a place in degree course in VJTI College, Mumbai. That is when she was introduced to Katalyst. She reminisces how her life changed for the better because of Katalyst. She states, “I owe all that I am today to Katalyst”. Monali also reminisces how wonderfully her mentor Ms.Chitra Jain, constantly encouraged her to plan and use her time constructively. It was through Ms. Jain that Monali got a chance to be a part of the Microsoft programme for undergraduates, where she was the only student from VJTI to be selected as the Microsoft Student Partner. Through this programme she learnt new software and taught the same to some students in her college. In 2012, Monali was placed at Bharat Petroleum Corporation Limited and is currently drawing Rs. 15 Lakhs p.a. Monali believes that after these years she has come to realise her life’s purpose. She dreams of being an IAS officer in the near future so that she can give back to society. Monali is thrilled to be known as the first female engineer in her hometown which makes her parents proud. Katalyst feels the same as well! Asha Kawle hails from Latur district in Maharashtra. Her father was a tailor and always dreamt that his children, three girls and a boy receive the best education he could manage. Asha was determined to do her best to make her parents proud. 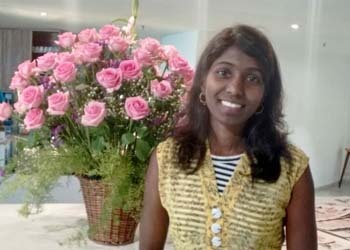 She was not interested in engineering at first, but when she was introduced to computers in school, her inclination towards technology increased tremendously. She secured a seat at College of Engineering Pune and in her second year she was introduced to Katalyst through a friend. She believes that Katalyst, through its rigorous and structured curriculum helped her build confidence and moulded her attitudes to be the person she is today. She recalls the Goa convention, her first ever travel outside the state, and is thankful for the exposure she received. Asha secured a placement at Polaris through campus, in 2012. Today she is working with Cloud Lending Solutions in Bangalore and draws Rs.12 lakhs p.a. Soon, she will be traveling to California, USA for work. Asha believes that people who use every opportunity they get, no matter how difficult or challenging, always achieve success. She hopes many other students get opportunities like she did and excel in life. Varsha Pagar was only 10 years old when she lost her father. Back then, she remembers her mother, who left no stone unturned, to see that both Varsha and her elder brother received the best, despite all their hardships. The family of three lived in the district of Nashik, Maharashtra. Varsha learnt early, that she wanted to be someone successful in order to make her mother proud. She was always a bright student in school. She was awarded a Scholarship of Merit in Class 7 which encouraged Varsha to achieve more from life. 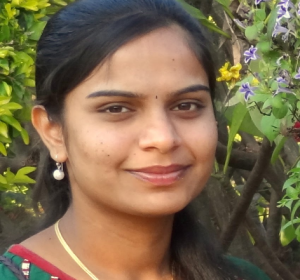 After topping her Class in standard 12, Varsha joined COEP for Mechanical Engineering. And that’s when she was introduced to Katalyst. 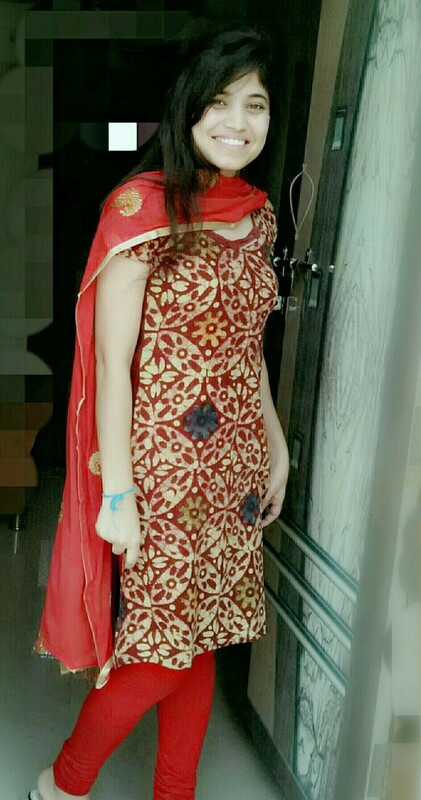 Varsha believes that college and academic life teaches you a lot- but it was only Katalyst that enabled her to be a confident and an independent person she is today. In 2012, she was selected by Eaton Technologies Pvt. Ltd. through campus placements and worked with them for two and half years. Thereafter in 2016, she took the UPSC exam and successfully bagged a post as Assistant Commissioner of Provident Fund at the Ministry of Labour & Employment, Government of India. She is currently pursuing her training in Delhi and will receive her posting soon. Looking back, Varsha recalls the Katalyst trainings and exposure visits that were conducted and believes that it was much easier to enter the corporate world and survive in it because Katalyst prepared her for it. She is proud of the person she is today, and gives credit to her mother, her brother and Ms. Anjali Hari (Katalyst) for being the catalysts to her success. In Nov 2016, she was awarded the Eaton Prathiba Award – for being an all-rounder both in academics and in extracurricular activities. Shruthi says that her family is now well settled and her parents are extremely proud of all her achievements. Looking back, the one lesson she has learnt through all of this is that, you should always focus on your goal and believe you can achieve it. Finally she says that she is forever grateful to Katalyst who groomed her to believe in herself and to achieve everything she has today. Siddhika Save hails from a village called Gholwad, located near the Maharashtra-Gujarat border. Her father, a farmer knew from the very start that he wanted his daughter to go to Mumbai and pursue her studies after completing class 10. Siddhika remembers her growing up years and how her family was affected financially due to the fluctuating income owning to the nature of seasonal agriculture. However, her father had decided that he would not let anything affect the education of his daughter. Through all their hardships and her father’s support, Siddhika moved to Mumbai after class 10. She pursued engineering from VJIT college, and that’s when she was introduced to Katalyst. Siddhika believes that Katalyst not only helped her financially but also improved her soft skills and made her the confident person she is today. She remembers having sessions on presentation skills and corporate workshops with Oracle. Most of all she believes that the day to day interaction with the Katalyst team helped her understand the meaning of professionalism and taught her to take responsibility for her own actions. Through Katalyst, Siddhika also got an opportunity to do an internship with Mahindra & Mahindra. After her B.Tech, Siddhika was placed with Larsen &Toubro Limited through campus, but she turned down the opportunity to pursue her MBA in marketing from JBIMS, where she was placed at Vodafone Pvt. Ltd through campus. Siddhika believes that students don’t succeed by just getting into the best college, but they succeed through their own hard work and dedication towards their goal. She is thankful to Katalyst and her father who believed in her throughout her journey. I still remember how I would shiver in front of others during Katalyst training sessions! Once Sunit sir gave me a mike in a session to speak a few words but I was at a loss of words due to my low confidence. So I passed the mike to the other girl. That was the moment I walked away with a feeling of not being able to do anything. But Katalyst changed my outlook towards life. I am Shashikala Chougule. I come from a small village in Satara district. As I scored extremely well in class 12, I got admission in VJTI College. But as someone great said that cut your coat according to your cloth, I thought I shouldn’t join VJTI as my father would have found it difficult to invest in my education which cost much more than his earning on the farm. A VJTI professor convinced me to join the college. I was introduced to Katalyst Program through my college and life changed! I always felt there was a gap between me and my friends. But one person in my life wasjust like my elder sister, most trusted friend, and a guide to living a positive life, my mentor, changed my attitude towards myself. I have learnt the art of loving myself, all because of my mentor. Katalyst runs a mentorship program which provides you with an opportunity to interact with experienced people from various fields. My mentor is my family. It is difficult to find a guide in one’s life; I was fortunate to have one in my life because of Katalyst. She gave me a few guiding principles to a healthy professional life. She helped me in every aspect, from helping me make my resume, to getting internship during engineering and most importantly getting an interview at Godrej and Boyce last year. I express my gratitude to every person in the Katalyst program who helped me during my engineering days develop into a confident and independent girl. I can proudly say that I got placed at the most reputed company, Godrej and Boyce, as Graduate Engineer Trainee earning 3.6 lakhs per annum. Away from home, we need support of someone not just financially but emotionally as well. It brings challenges for us as it involves making daily life choices. Everyone wants change in their life as it makes their life enriching. I witnessed this change within me because of Katalyst Program. Now I am not afraid of making decisions for my life. I am Apurva Patil, a third year B. tech student in Mechanical branch, COEP. My hometown is in Nashik. Difficulty was another meaning of life for me but in the transformational journey of Katalyst, I realized that nothing is difficult in life; it is all about our attitude towards the situation and how we cope with it. This is the result of our Katalyst training sessions which always provide us with a platform to practically implement the skill taught through various interventions in the session. With the transformational journey and attitude of facing the challenges courageously, I have inculcated the value of learning throughout my life to enhance soft skills which drives me. So I keep looking for different opportunities to excel in life. As a first step, I try volunteering with Katalyst for their various activities, to be more confident and be able to speak to people with clarity. Now I have started to live a life with a difference, and I aim to give the benefit I am getting in Katalyst to more girls like me so that they too get a friend for life to guide them through the path. Katalyst program is not just a source of getting money but a place to grow into a rising star.